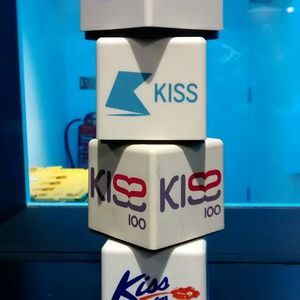 Kiss 100FM (now known as Kiss FM UK) turned 25 years old on September 1st 2015. Here&apos;s a little montage showcasing some true &apos;Kisstory&apos; of the original sound of Kiss. Some hidden gems in there, see how many DJs/radio presenters/shows you can spot in there! Wow!!! This is wickedly awesome, especially the first 13 1/2 minutes! and the news report with Anne-Marie Minhall. Unfortunately, I don&apos;t have any recordings with Colin Faver or Sarah HB. IMHO, Kiss 100 FM in the early to mid 90s was definitely the world&apos;s best dance music radio station that&apos;s ever existed.